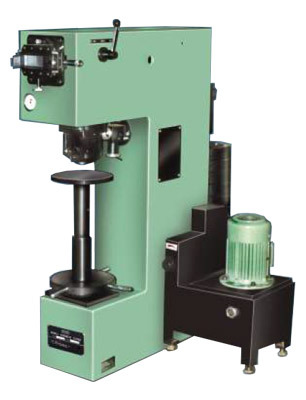 SAROJ Hardness Testers, Model B-3000 (H) & Model 3000 (O) are precision engineered confirming to IS : 22281 – 1968, BS : 240 and ASTM : E 10, however B-3000 (H) & B-3000 (O) are most suitable for production testing. These machines are designed to measure hardness of castings, forgings, other metals and alloys of all kinds, hard or soft, whether flat, round or irregular in shape. Direct reading optical device with 14 x magnification.